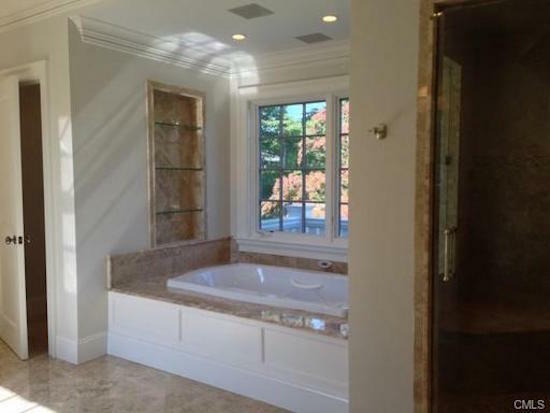 Designing our guest bathroom for the One Room Challenge got me thinking about our own master bath and the amazing transformation it under went last fall. I ran across these two “before” images recently while cleaning out my files and realized I never did a full post about this. 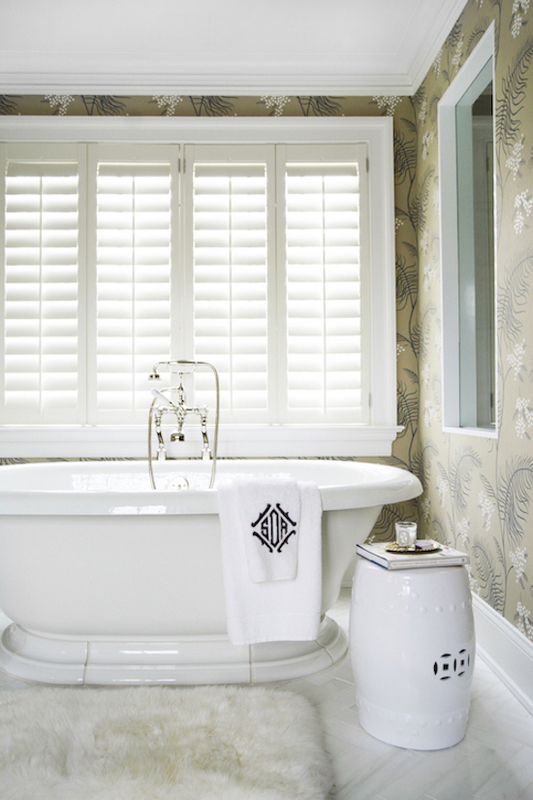 If you remember my old master bath from our New York home, it’s obvious that it completely inspired the design of this bathroom. Actually, inspired might not be the right word here. 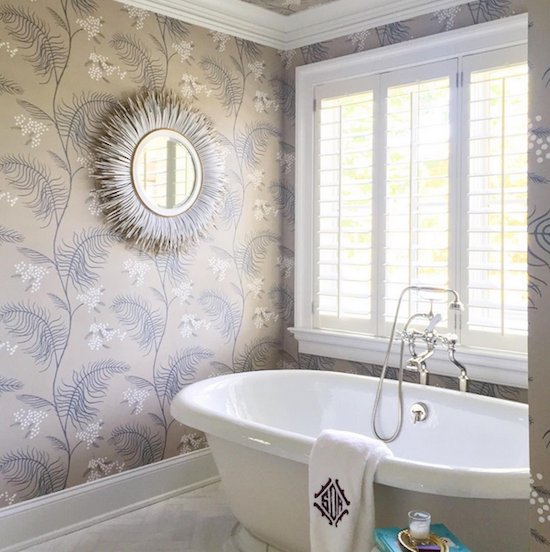 I loved our master bath so much, especially this Cole & Son Mimosa wallpaper – and we had only just finished renovating it in 2009. Not wanting to say goodbye to this well thought out room, I decided to pretty much recreate the look here in our new home with the help of Muse Interiors. 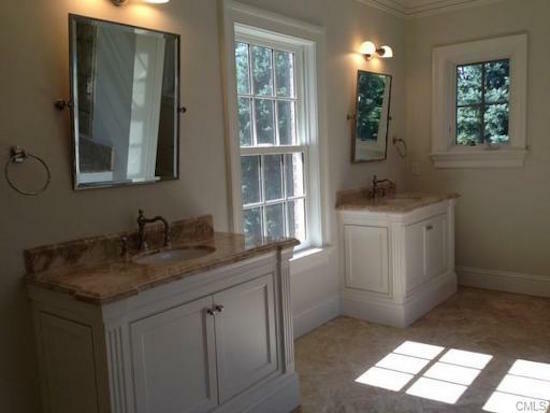 We got rid of the existing tiles, built in tub and counter tops but kept the vanity and sinks. 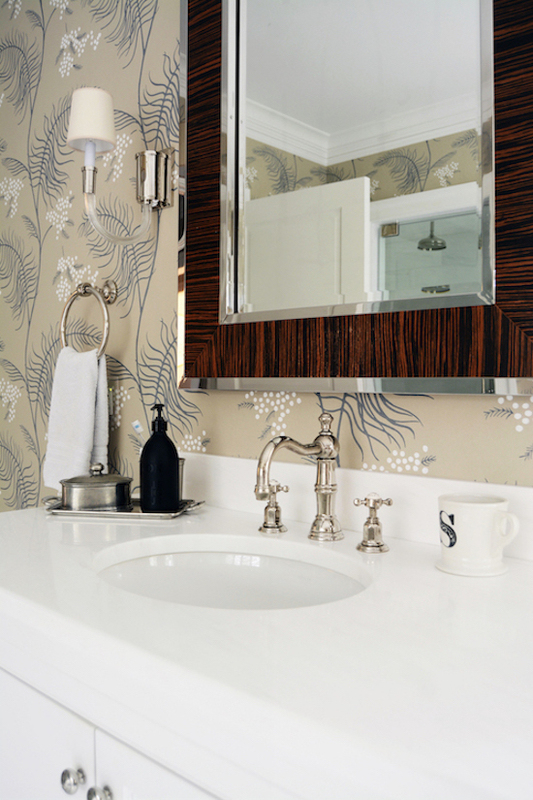 I was happy to keep our zebrawood and chrome mirrors and use them again in our new bath. 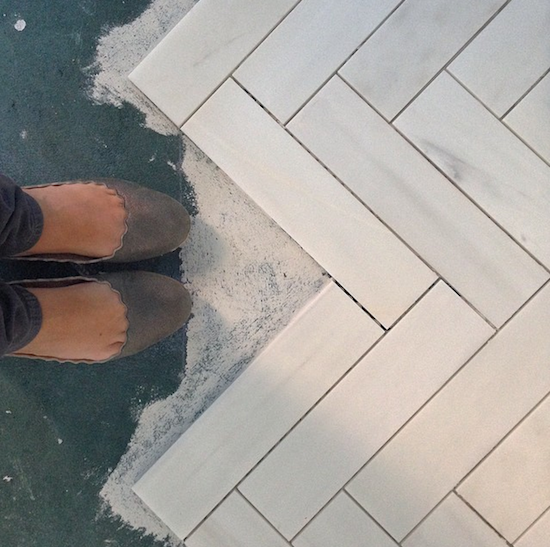 We improved on the marble tile floor from our old bathroom by going with a fabulous chevron pattern here – one of my favorite design elements in this space. 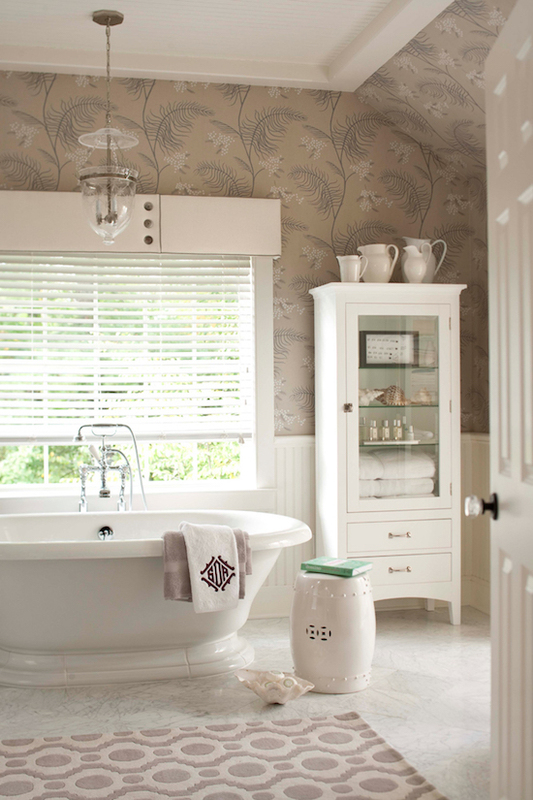 Other favorites are the Visual Comfort lucite sconces and the big round white mirror near the bath tub. images one and four via: Nicole Cohen, two and three via MLS, five, six and seven via yours truly and eight via Muse Interiors. PS: Before and Afters of our blue and white bathroom. It's such a lovely space. 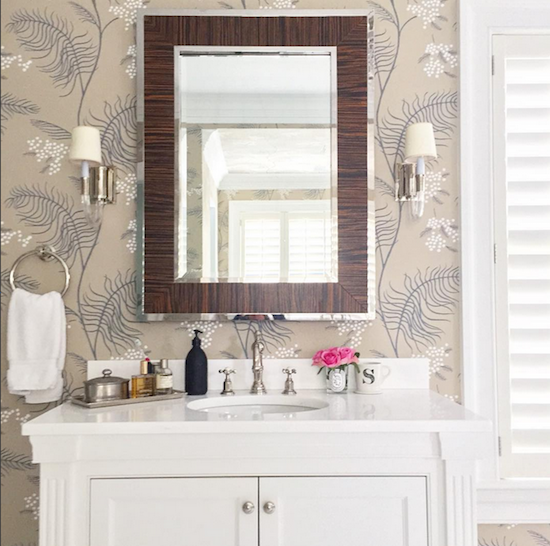 I love how you did the same wallpaper as your old bathroom and recreated the whole look. Great confirmation that you did it right the first time, and that's not something we can always say! What a gorgeous space. It really is beautiful. Great job!